Nothing says summer like Independence Day fireworks, and southwestern Connecticut celebrates for two whole weeks. Check out when and where you can see the skies light up this summer. Tailgating is allowed in the overflow parking lot of the Danbury Fair Mall. Live music, games for the kids, beer, a food tent and more. Activities begin at 6, fireworks at dusk. Click here for event details. Entertainment starts at 6, fireworks at 9:15. The rain date is Saturday. Click here for info and parking rules. Photo: Rodney T. Ager Jr.
Greenwich Point and Binney Park, Greenwich Enjoy Greenwich’s town fireworks display at the scenic Binney Park, as fireworks dazzle over Greenwich Point. Take in a spectacular fireworks show at Darien High School. Celebrate Independence Day with an explosive Grucci Firework show. Fireworks will be set off from a barge off of Long Island Sound so the show is visible from both Jennings and Penfield beaches. 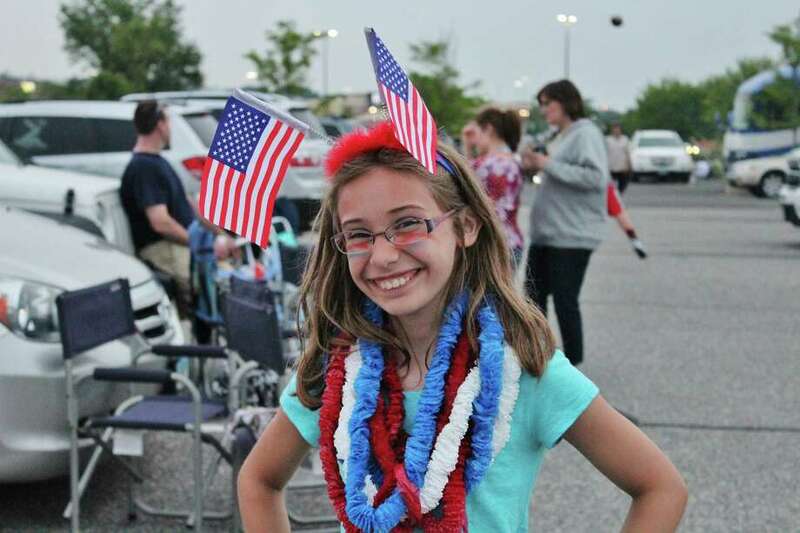 Entertainment is from 5 to 7 p.m.
Take part in this townwide event as the community comes together to enjoy festivities along New Milford’s Town Green, before fireworks are set off later in the evening. Dance the night away to music from Queen Flash and special guest Phil Naro in a high energy show just before a magnificent fireworks display. Enjoy fireworks and live music from the Ultimate Stevie Wonder Experience before and after the show at Calf Pasture Beach. Enjoy picnicking, live music, children's games, a food court, and a spectacular fireworks display. Live music before the fireworks. Fireworks will light up the sky offshore from a barge along Bayley Beach on the Fourth of July. The show is expected to last about 30 minutes. The gates open at 4:30 p.m. for the fireworks display, and early comers can experience live music from the Westport Community Band, the Magic Genie, and a Johnny Cash tribute band. Spend the day at the beach and enjoy fireworks after sunset in Stratford.